Protein is an essential building block of the human body, found in just about every tissue and organ. About 20% of the human body is made up of protein. Proteins themselves are made from amino acids which act like tiny molecular workers in the body, moving nutrients to where they are needed, repairing tissue, helping out the immune system, and removing waste. Traditionally nutrition experts recommend that adults get about 8 grams of protein for per day for every 20 pounds of body weight. But is that recommended amount the same for everyone? Because protein is so closely tied to the body’s use of energy, in general, more active people will require more protein. If you’re an athlete or someone who likes to visit the gym on a regular basis, you might need to increase the amount of protein you consume—as much as doubling the recommendation above—depending upon how frequent and how intense your physical activity is. If your diet is lacking in essential amino acids, the proteins in your body begin to break down, leading to loss of muscle and trouble with damage repair. Your body cannot produce essential amino acids on its own, so you need to find an outside protein source, such as animal or plant protein to get them. You might find that adding a protein supplement after a workout can help your body heal faster. The best places to get animal-based protein for your diet include eggs, fish, chicken, and turkey. You can also add red meat as your nutritionist approves. As long as your serum ferritin and serum iron levels are acceptable, you should be able to have about 4 to 6 ounces of red meat per week. If you don’t eat meat or want to cut back on your meat consumption, there are also plenty of plant-based protein sources to find your protein. Beans, seeds, nuts, sprouts, and quinoa are all great plant-based sources of protein. Peanut butter and other nut butters like cashew or almond butter are all great sources of protein that provide plenty of menu options. If you are a vegan or a vegetarian, you especially need to watch your protein levels to make sure your body has the fuel it needs to heal and repair itself. Chlorella is a vegan-friendly supplement to consider using for added protein (after consulting with your nutritionist). Chlorella is a green algae that is about 58% protein. Usually, two or three capsules will provide you with 2 grams of protein. Take a look at your protein intake. If you’re getting any protein from soy or whey sources, eliminate those foods or supplements. For many vegans and vegetarians, soy is their primary source of protein. Many other people are consuming soy without thinking about it. In fact, 80% of the oil that Americans consume comes from soy, typically in processed foods with ingredients like "soy lecithin" and "isolated soy protein." Soy lecithin contains a compound knows as phytoestrogen, which produces similar effects on the body as estrogen. Phytoestrogen has been linked to reproductive abnormalities and sexual dysfunction. Further, about 75% of breast cancers are estrogen-receptor positive. Why would you want to introduce extra estrogen to your body when there are other protein sources besides soy? Based on a review of your diet and health concerns we may recommend that you eliminate these soy protein sources from your diet: tofu, "soy protein isolate," hydrolyzed vegetable protein," texturized vegetable protein," soy protein," and soy protein supplements. There are many protein supplement products on the market today, some good and some not-so-good. Be sure to choose a supplement that does not include any artificial flavors, colors, dyes, or other fillers. Many of the most popular supplements use whey protein as their primary source, and some of them can be harmful. When manufacturing whey protein supplements, most manufacturers use heat which denatures the protein, making it insoluble in water. To restore the solubility to the protein so that your body can use it, manufacturers need to add extra chemicals. Processed Whey also lacks many of the healthy fats, vitamins, and minerals that you’ll find in other protein supplements. Finally, many whey supplements also contain artificial sweeteners and genetically-modified ingredients such as soy lecithin. 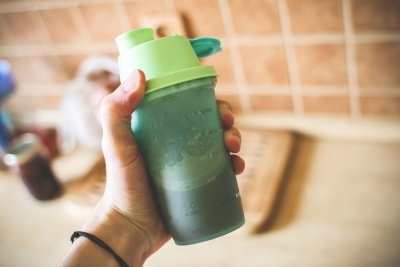 Instead of whey protein supplements, consider pea powder protein, rice protein, or egg white protein. Remember always to consult with your nutritionist or healthcare provider before adding or changing protein supplements in your diet. Know for Sure – Get Tested! Many people could benefit from adding more protein to their diets. However, it’s important to consult a nutrition expert before making any changes to your diet and/or lifestyle. The best way to know if you could benefit from additional protein or any other adjustments to your diet is to have a comprehensive blood panel to determine what vitamins and minerals you may need. Call us today at 773-878-7330 to schedule your initial consultation. 2. Institute of Medicine, Dietary Reference Intakes for Energy, Carbohydrate, Fiber, Fat, Fatty Acids, Cholesterol, Protein, and Amino Acids (Macronutrients). 2005, National Academies Press: Washington DC.